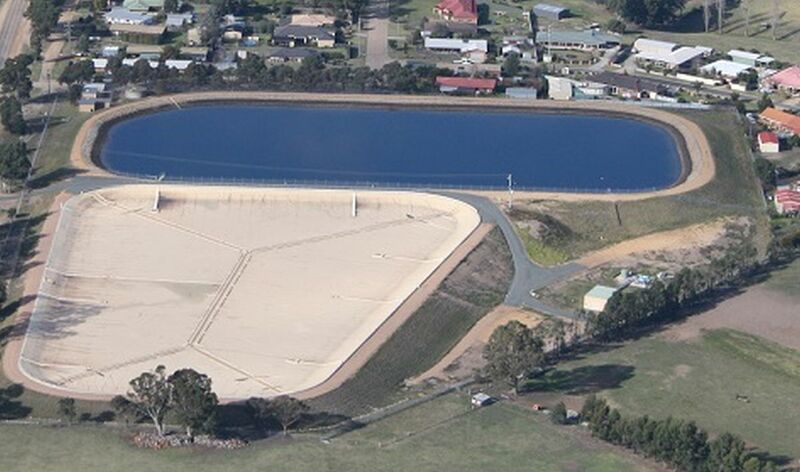 East Gippsland Water is preparing to implement a two year program of upgrades to its Wy Yung water storage facility serving some 24,000 people from the Bairnsdale area through to Nowa Nowa. Located off Bullamwaal Road in Wy Yung, the facility receives and stores water from the corporation’s water treatment plant at Woodglen, north west of Bairnsdale – acting as a major distribution hub for the Mitchell River water supply system. This also serves customers living in the Paynesville, Bruthen, Nicholson, Johnsonville, Swan Reach, Metung, Lakes Entrance and Lake Tyers areas. an electrical control upgrade – enabling more detailed monitoring of how well the water supply network is performing. The data will be accessible remotely, enabling operational adjustments at short notice, without travelling to the site. The opportunity will also be taken to address a leak in the internal liner of the covered water storage. East Gippsland Water’s Managing Director, Bruce Hammond, said, “The overall aim of the program is to ensure the reliability of the Mitchell River water supply system well into the future and make it easier to undertake maintenance at the site. This has clear benefits for the thousands of customers who rely on the system to meet their everyday water needs. Preparations are now well underway, with onsite work for the bypass upgrade expected to step up in the next few weeks.